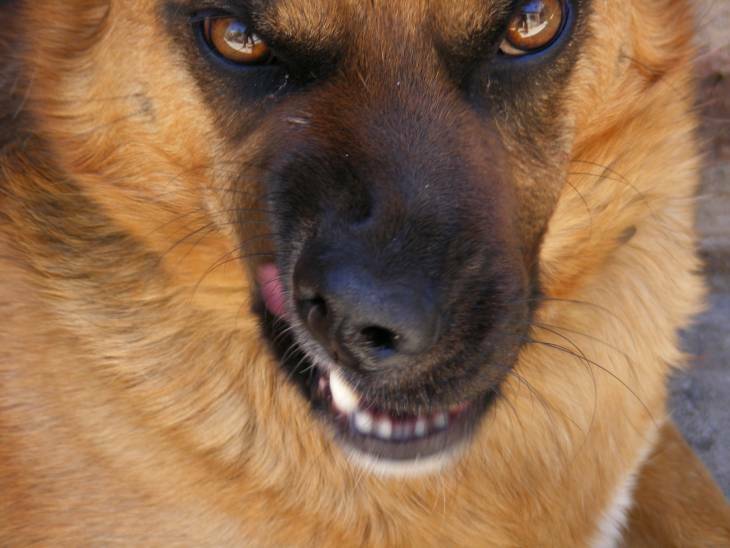 Getting bit by a dog can quickly turn a charming pet into a vicious beast in the eyes of some. However, there are ways you can protect yourself from getting bit. As a dog owner, there are also steps you can take to ensure your dog isn’t doing the biting. All dogs have the capacity to bite. It doesn’t matter how cute or cuddly your pooch is, or if he managed to pass training and obedience school with flying colors. Under a certain amount of circumstances and provocations, he may bear his teeth take a chomp out of someone. This may come across as a brutal bit of reality, but it’s important to keep in mind that dogs, while they are beloved members of our family, are animals. And even though they’re smart enough to communicate with us rather clearly through sound and body movement, a bite can be representative of them tapping into their raw animalistic instincts. We may just think of dog bites only when a particularly vicious dog attack makes our local news. However, dog bites happen way more often than you may realize. Studies indicate that around 4.5 million Americans get the business end of a dog’s mouth every year. Half of the bites end up requiring medical attention. Not surprisingly, children are the demographic most susceptible to dog bites. The studies show about half of the people that do get bit fall between the ages of 5 and 9. Children also tend to be more vulnerable to injuries stemming from dog bites than adults. 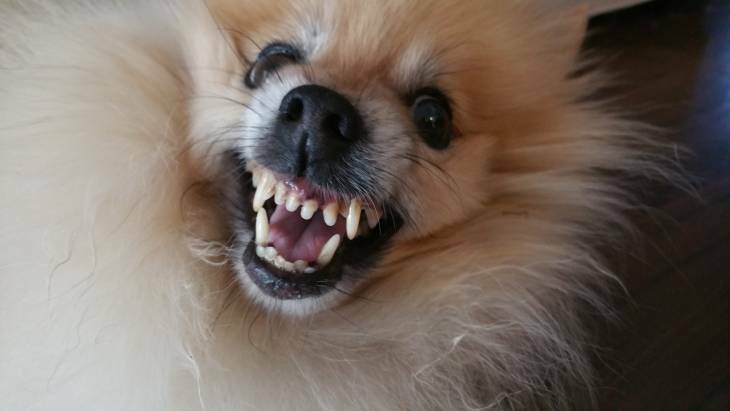 Even though certain breeds are seemingly (and wrongly) defined by their bites, it is nonetheless difficult for us to sometimes visualize the damage a dog’s teeth can do. This video provides such visualization to hammer the point home, along with some important if not surprising dog bite stats. The images are graphic, so proceed with caution. 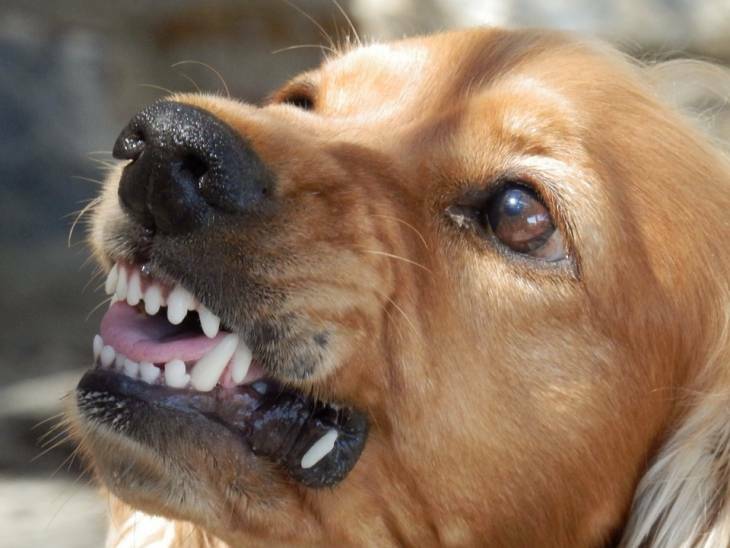 There are widespread reasons why a dog would bite someone. Most of these reasons are not driven from the false stereotype of being a mean ol’ dog. Rather, the bite-driven behaviors stem from instincts rooted in various forms of protection and survival. Perhaps the most obvious protective-driven biting instinct has to do with maternal aggression. The mother will be fiercely protective of her brood for the first several weeks after birth, and anything that looks like a threat to her pups could be met with lashing out with teeth. Even the sweetest dog can fall back to these motherhood-driven instincts. Then again, this type of protective instincts doesn’t necessarily have to stem from a mother-puppy bond. It can just as easily come from a dog feeling the need to protect what he feels is his possession. If you want to see this in action, just try and take a juicy bone covered with meat shards from the paws of a hungry pooch. Another common cause of biting behavior is if a dog is in pain. This is not necessarily an action driven to let you know that he’s hurting as much as it’s a reaction to experiencing pain as a result of the area of pain being stimulated. This is why it’s important that, if we notice our dog is in pain, we proceed with caution when we’re dealing with his discomfort. If we touch a painfully sensitive area on our dog, he may bite us to tell us that’s not acceptable – even if we don’t mean him any harm. Fear is another prime motivator behind a bite. This particular reason straddles the line between protection and survival. He may bite you because he’s afraid of whatever commotion is surrounding him (or stemming from you), but he also may do so because he feels his very existence is being threatened by an outside source. 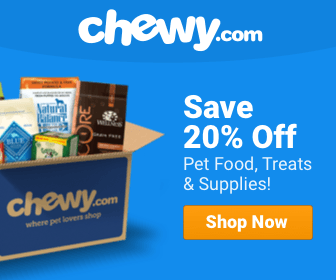 Another unique reason for a dog bite is prey drive. This particular impetus of biting could be construed as survival-based, although it could be traced back to a need to work or herd in the case of some breeds. This instinct is essentially marked by the thrill of the chase and can be triggered by a cyclist or a jogger. The most infamous reason that a dog bites, dominance aggression, doesn't necessarily have to do with protection or survival. Rather, it's a signal meant to inform you that he is the alpha dog, and you better not even think about messing around in his domain. This type of attitude is typically more visible in intact males and in dogs that have an inherent streak of bravado, such as Rottweilers and American pit bull terriers. In some cases, the combination of confidence and jaw power has served to strengthen and reinforce negative stereotypes regarding certain breeds and breed owners. Some of a dog’s biting behaviors are hardwired into their brain and will remain intact for the duration of their lives. In these cases, the manifestation of the biting instinct makes perfect sense. If you run interference between a mother and her newborn pups or poke at a painful area on your pooch, you can expect a bite, and rightly so. However, there are behaviors like prey drive and dominance aggression that can and should be mitigated by responsible owners. These behaviors can be properly nipped in the bud at a young age as part of a dog’s overarching training regimen. 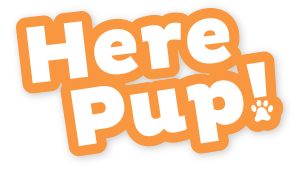 The two biggest things you can do for your dog during his impressionable puppy years is to teach him training and socialization skills. Both metrics have some similarities, and chances are you will be able to hone both skills at the same time. However, it’s important that you view them as different aspects of cultivating your dog’s behavior. Teaching your pooch not to bite should happen at the puppy phase if at all possible. This is particularly important because your dog may not be aware of how hard he’s biting. The reason for this is linked to a phenomenon called bite inhibition. Bite inhibition describes the behavior where puppies learn to control the power of their bite. This is typically figured out while he’s involved in a puppy litter, where the force of his bite is adjusted through play with his siblings. However, this process could take some time, and it is something your pup may not have honed before being whisked away to your family. You may find his playful nipping cute at first. After all, these bites may come during play time. However, even at that young age, a perfectly placed bite can induce a healthy dose of pain if you’re not prepared for its impact. You can work with him to develop bite inhibition by essentially acting like a puppy might; letting out a sharp noise upon impact and halting play for a couple of minutes. He'll quickly get the message that a line was crossed and he needs to be more careful. Eventually, you’ll be able to train him to gravitate away from your hands and onto chew toys or other objects that are far more appropriate for gnawing. Eventually, he’ll learn how to be playful and kind without having to inadvertently and unwittingly lapse into painful behaviors. Socialization is immensely important because it helps your dog get used to the notion of being polite to the world surrounding him. As the term suggests, this practice is built around the notion of surrounding your pooch with other animals and people of all ages. The goal here is to get him comfortable with being in normal, everyday surroundings. While the immense benefits of socialization are numerous, perhaps the most important lesson it imparts is not to be overtly dominant toward other people and pets. This, then, dramatically cuts down on the chances of your pooch deciding to sink his teeth into someone's hand just because he thinks he's closer to pack leader than the victim. If you consider yourself a responsible dog owner, it’s important that you follow through with socializing your pooch. This is particularly the case if you have a breed that naturally exudes confidence or has pack leader tendencies. Proper socialization will cut down on the bravado and cultivate the kind of loving, loyal dog you want. On the other hand, a lack of socialization – or even worse, an encouragement of aggressive tendencies – may lead to a greater risk of the kind of dog bite attacks that have singlehandedly ruined the reputation of breeds that are, in reality, sweet and good-natured. This has also helped to ruin the reputation of those who own these breeds by proxy. The irresponsibility linked to what can be a somewhat preventable behavior has led to breeds like the American Pit Bull Terrier to be banned or restricted in certain communities. When you add controversial and misinformed news stories into the mix, it becomes clear that the education behind dog bites and their prevention is an uphill climb in some cases. It may be easy to blame our dog or a friend’s dog if they chomp down on our kids. On some level, it feels like practical parental instincts at work. Yet as this video demonstrates, an otherwise friendly family dog may bite as a last-ditch, desperate signal for help after a long period of child-driven torment. Children and dogs seem like a natural fit together. After all, they both share a lot of the same qualities; they’re both playful, cute, trustworthy, and you can’t stay mad at them for too long because they have you wrapped around their finger or paw. Yet there’s a good reason why so many children get bitten by dogs of all ages. Frankly, kids can be brutal toward dogs, to the point where they can become afraid or even aggressive. However, because they are so enraptured by the dog’s cuteness, they may not have any idea that what they are doing to their dog is making the pooch uncomfortable. Because of this, it’s important to realize that if a dog bites your child, he didn’t suddenly become a vicious monster. Rather, he’s most likely done so because he has no other option left to tell your child to leave him alone. In other words, as harsh as it sounds, your child most likely was the impetus of the bite. Admittedly, part of this reason is that dogs simply don't quite understand how to communicate with children. One of the reasons for this is because of the nature of the kids themselves. To a dog, a kid isn't a small human as much as they are rambunctious, emotional critters that do things adult humans wouldn't think of doing. In the case of larger dogs, they may look at children as subordinates in the pack because they are smaller. This could not only lead to biting your kid if your pooch has reached the end of his fuse, but it could also lead him to be a growling beast if your kid does something innocuous, like wander by his food. As a responsible dog owner, it is up to you to ensure that you set up certain environmental parameters that can allow your child and your dog to co-exist peacefully. The big one here is to make sure you’re supervising any dog-child interaction if your kid is under the age of 12. And if you see anything that’s even the slightest bit off-putting from a behavioral standpoint, correct the problem immediately. A good rule of thumb to use is if it looks like your dog is in a bit of discomfort, he probably is, and you should tell your child to cease what he or she is doing immediately. What Happens When a Dog Bites You? While you can do quite a bit to lessen the chance of your dog biting, there still may be situations where your dog sinks his teeth into you. If this happens to you, what do you do? The most important thing you can do in this regard is to not panic. You may be flush with emotions in the initial aftermath of the bite – emotions that can range from shock and anger to disbelief and even guilt. However, it’s important that you keep this cauldron of feelings from bubbling over in front of your pooch. If you don’t remain calm, or if you strike out at your dog via verbal of physical retaliation, you’re only going to make an already touchy situation worse. Your pooch will look at this type of behavior as your way of escalating the situation. You don’t want this, and neither does the dog. Your best course of action is to walk away from your dog, preferably into another room where you can separate yourself from him. This will give both you and your dog sufficient enough space to calm down and gain your wits. Next, take a good look at the dog bite to see the extent of the damage. You’ll want to call your local medical facility to see if a trip to the emergency room or walk-in clinic is in order. You’ll also want to dial up your dog’s veterinarian to ensure your pooch is current on all of his vaccinations. If it’s been determined to be a minor dog bite, you may be able to handle the situation by washing the wound out with soap and water to prevent germs. Next, apply pressure with gauze or a towel if the wound is bleeding. Once the bleeding stops, apply antibiotic ointment and wrap the wound. As the wound heals, it’s important that you keep an eye on it to make sure it doesn’t worsen. If you start seeing things like swelling, redness around the bite, a pus-like discharge, or an increase in pain, this could be a sign of infection. Go to the doctor immediately. If your dog bite did some serious damage, such as create a deep, wide gash in your flesh, seek medical help right away. The physician will be able to perform actions to the wound that will give it its best chance of healing, such as cleaning it with surgical disinfectant and removing dead or infected tissue. You may even receive rabies or tetanus shots. We don’t like to think of our dogs as having the power to bite, but they do. It is up to you to help your dog control this aspect of their behavior around you, your children, and other people so that it doesn’t manifest. If it does, however, know that it is very rare that a dog will do so out of outright maliciousness. They are most likely doing it out of protective or survival instinct. On some level, you have to respect that. Why Dogs Bite, Jacque Lynn Schultz, C.P.D.T. Dog bites are traumatic for the individual bitten and costly to treat – many health care systems spend millions each year on treating dog bites that could largely have been avoided. So education is needed – and schools are the ideal place to start – teaching kids how not to be bitten would save the tax payer in the long run!